Qualifying for Ireland’s Olympic Team and earning a semifinal swim for his Olympic debut in Rio 2016. Shane Ryan may have some of the “fighting Irish” blood flowing through his veins, but you may not notice his competitive nature at first conversation due to his light-hearted and friendly demeanor. 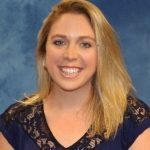 Swimmers attending his clinics will not only learn from an incredibly talented swimmer but also have a blast learning from an athlete who truly loves teaching and engaging with participants on their level. If you’re looking for a hands-on, dynamic clinic experience, look no further than Shane Ryan. He also likes to involve the athletes in the coaching process rather than talking down to them. “I like to ask what they thought of their stroke and involve the swimmers in the process. It helps them think through the purpose of each repetition and own their development.” Making kids think for themselves just might start the road toward incredible improvement and a love for the sport. Shane brings an intuitive perspective toward swimming technique: “Swimming is very fluid and can be easy once you nail the technique. 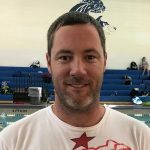 But you must focus on learning the process of swimming correctly before adding power.” He specializes in backstroke and freestyle sprints and is an expert in improving underwater kick-outs. “Every race, win or lose, is an opportunity to learn and improve something in your training. You have to trust the process and coaches. It’s not all about the short-term goal: it’s about the long-term goals and results.” In Shane’s perspective, swimming success equals a lot of little things that add up to the big performances. Your swimmer will leave Shane’s clinic not only with a new perspective on swimming but also with a new role model. Shane is known for being the “team dad” and the go-to person when anyone needs help. But he also highly values holding teammates accountable for working hard and bettering themselves every day as a crucial process of team and self-improvement. 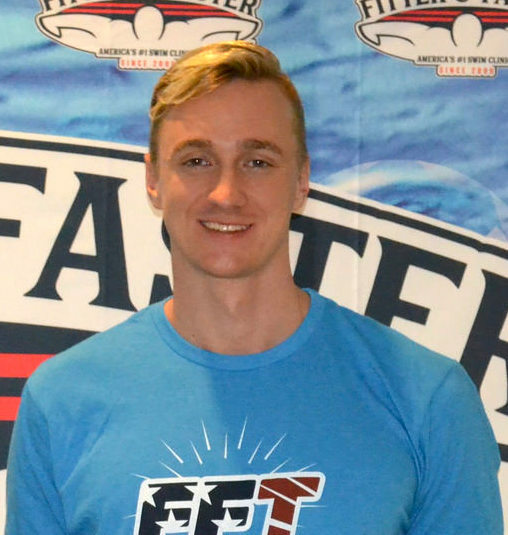 His philosophy of “team first, self second” shows the caring and selfless side of this 6’6” powerhouse swimmer.